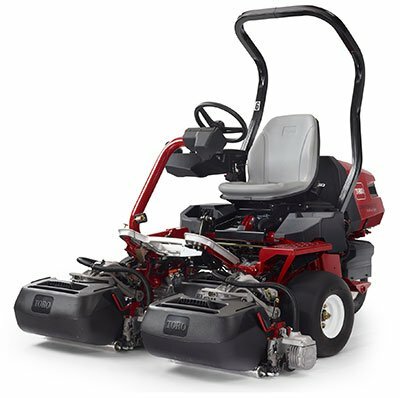 Toro has jumped into the all-electric triplex greensmower market with the introduction of the Toro Greensmaster eTriFlex Series. The new eTriFlex has no hydraulic fluid and utilizes all-electric components for traction, steering, lift and cutting units. As expected, these greensmowers offer lower noise levels and no worries about hydraulic leaks, but also offer turning radius-dependent reel and traction speed control for improved performance. Each individual reel and traction wheel speed is monitored during turns to reduce "triplex ring". 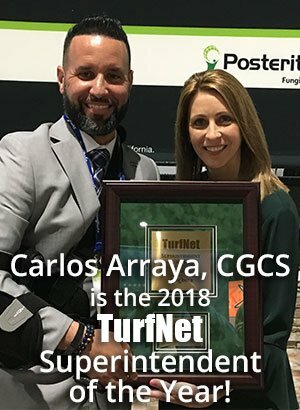 This feature standardizes the clip rate of each individual reel to avoid turfgrass thinning on the inside reel during perimeter cutting, and reduces wheel turf scrubbing to greatly improve the appearance of the cleanup cut, which ultimately leads to an increase in operational productivity. The Greensmaster eTriFlex also includes an automatic slowdown in turns at high transport speeds, auto-brake functionality when the operator dismounts the mower, a foot-operated parking brake as well as an optional mowing slowdown setting to help protect the integrity of the collar. Finally, operators have more control and access to advanced diagnostic information than ever before thanks to the onboard InfoCenter. This easy-to-use control panel can adjust mowing and reel speeds, calibrate lift, steering and traction and engage the “slow-in-turn” feature to reduce damage on the fringe area of the green in turn-arounds. The Greensmaster eTriFlex 3360 engine-powered model will be available this summer. The lithium-ion eTriFlex battery powered model is slated to launch in late 2019. All Greensmaster eTriFlex models are compatible with existing TriFlex cutting units and accessories.